The original video is still on Facebook (click here), so please head over there if you'd like to see the interaction which took place during the live stream. 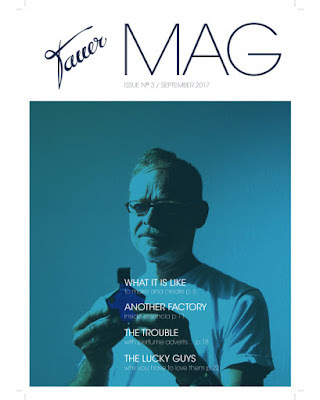 I feel very fortunate to be able to say that latest edition of Tauer Mag features another piece by yours truly, this time on the far-too-vast-for-one-article subject of perfume commercials. The magazine is available only in print, so if you'd like to order it, please click here. A quick reminder that - family commitments permitting - I'm still hoping to broadcast my next Facebook Live episode of Love At First Scent this Friday, 25th August, at 3:30 pm UK time. If I need to cancel, I'll let you know as soon as possible. 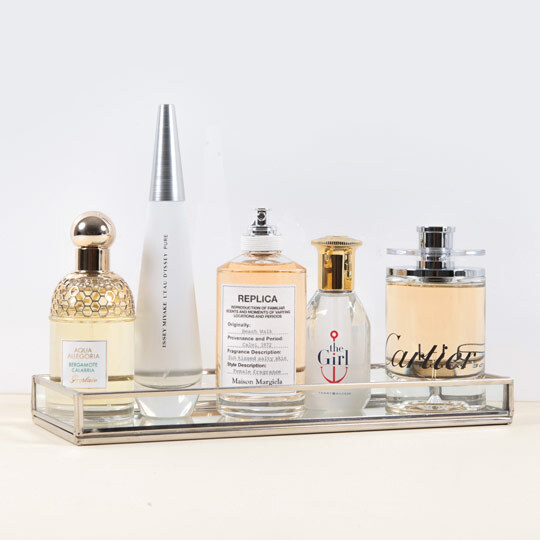 A whisper of minimalism makes its way into my latest piece for Feelunique, featuring scents for those times when you just need to tone things down a tiny bit. Please click here to read it. In other news... I'm hoping to broadcast my next Facebook Live episode of Love At First Scent this Friday, 25th August, at 3:30 pm UK time. However, I'm striking a slightly tentative note because there's a chance I might be needed to help out a family member with a hospital appointment during that time. (There it goes again: everyday life interfering with perfume stuff!) If I can't go ahead with the broadcast then, of course, I'll let you know straight away. But fingers crossed, all will be well. Perfume names are a constant source of puzzlement to me. More of than not, it's because so many of them are downright awful (Girl Of Now?!!) but sometimes, the cause of my incomprehension is that they're ill-chosen in relation to the other members of a brand’s portfolio. Take Histoire D’Orangers, for instance. 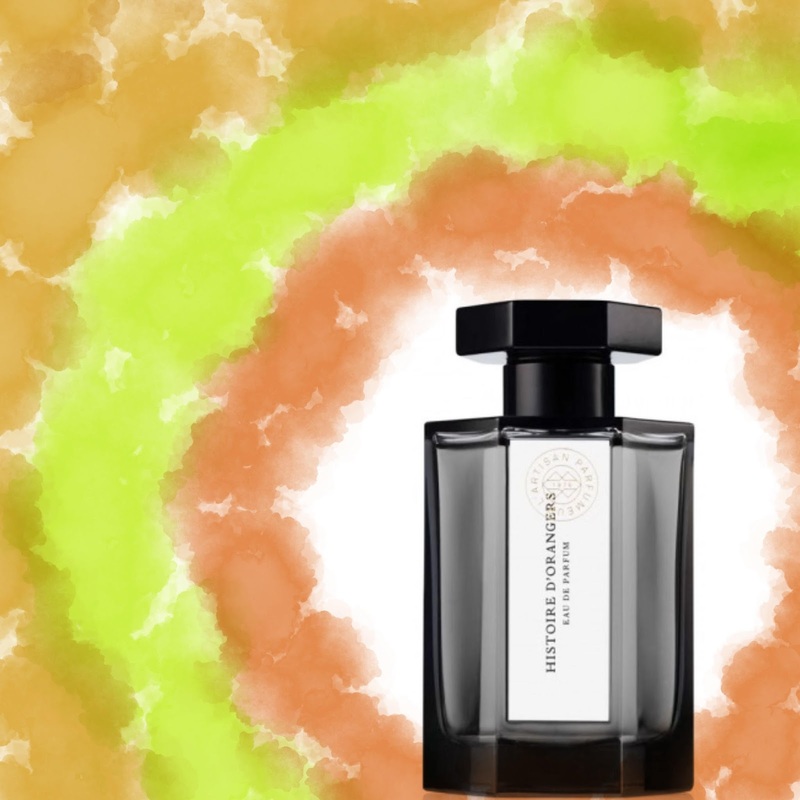 Surely, L’Artisan Parfumeur have already told an ‘orange tree story’ - if we're to take the name literally - in their superb Séville À L’Aube by Bertrand Duchaufour. Indeed, that perfume was the very definition of a scented tale, with a lucid narrative and a clear sense of development, as devised by Denyse Beaulieu, who worked with Duchaufour on the composition. This new release is certainly focussed on an orange tree - indeed, its key note is the plant’s intoxicating blossom - but it doesn't operate like a story at all, preferring instead to present a single, painstakingly detailed snapshot. Time for a dose of Sixty Second Scents. Today it's the turn of yet another Mugler flanker: Alien Musc Mysterieux. If you'd prefer to watch it on the YouTube site, please click here. I guess it's fair to assume that Tom Ford found gold at the bottom of his pool of water: last year’s release of an Acqua version of Neroli Portofino must have been successful, because 2014’s Mandarino Di Amalfi has just been given the same treatment. And if the move turns out to be equally lucrative for Mr Ford, you won't catch me complaining, because it leaves all of the rest of us winners too. 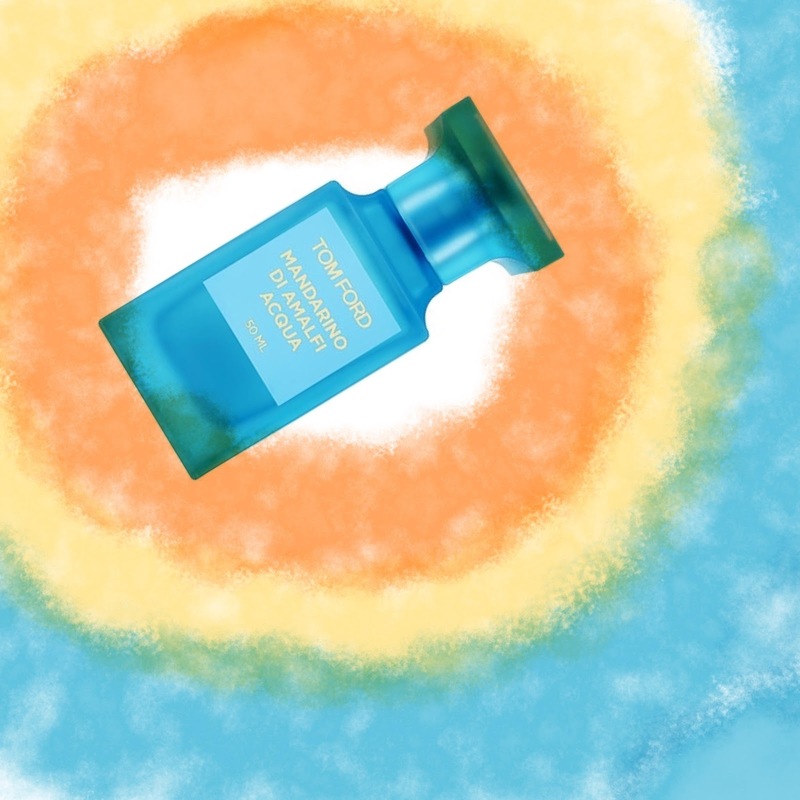 Simply put, Mandarino Di Amalfi Acqua is one of this year’s best ‘summer colognes’. I enjoyed the syrupy citruses of the original version, but only up to the point when they were shoved aside by the somewhat more prosaic wood notes. However, this Acqua iteration dispenses with the woods and opts for a more overtly floral accompaniment to the eponymous fruit, which in this case, is even lighter, brighter and more mouth-watering. Like a wish for summer to last all year long, the fragrance freezes time, so that it is forever hovering somewhere between that second cocktail and a limb-loosening stroll along the beach. Or maybe it's a diver, half-way between a precipice and the pristine surface of the ocean, just on the verge of finding that gleaming cache of gold. Sparkling work. 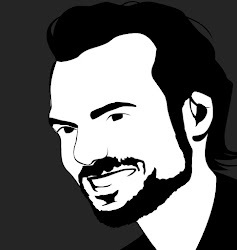 What's the smell of disillusionment? According to Mike Nichols’ The Graduate - currently enjoying a 50th anniversary, big-screen re-release - it’s cigarette smoke and whisky on ice. 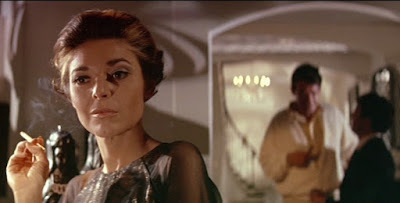 The film’s most disillusioned character - the implacable Mrs Robinson, apparently crushed by years of self-directed anger - is almost always surrounded by a tobacco haze or holding a half-empty glass. In fact, in many ways, she is the movie’s most scented feature, which is entirely appropriate, given her placement within the realms of the sensual. She’s also contrasted with her seemingly scent-free daughter, Elaine: well-scrubbed, wholesome and channelling Liz Claiborne aesthetics long before they became popular. But is that a Dior bottle we see on Elaine's dressing table? The camera doesn't let us get a close enough look, although it's tempting to think it might be the weightless Eau Fraîche.